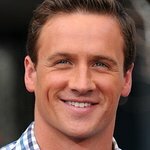 US swimmer Ryan Lochte is an 11-times Olympic medalist. He also had his own reality show on E! called What Would Ryan Lochte Do? Google trends for "Ryan Lochte"
We don't have any videos related to Ryan Lochte.